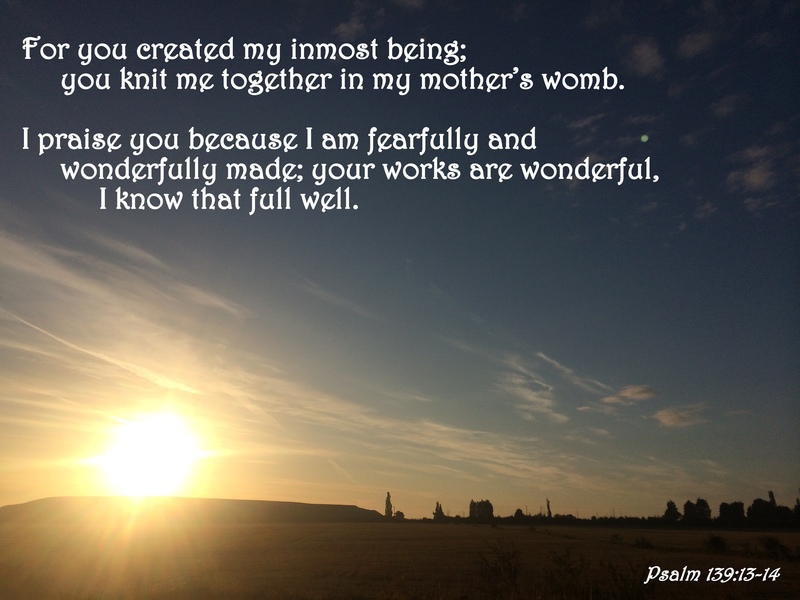 We Are His Creation, Wonderfully Made! **breathing–unless there is a health concern that affects that life necessity? **walking–unless something happens which impairs or prevents our ability to move? **seeing--unless our vision is reduced, diminished significantly, or gone? **hearing–unless communication becomes challenging or lost through this sense? We, often, take much for granted in this life—until something is missing, changed, or gone. we are taking God, our Creator, for granted. **breathing —taking in every breath gratefully as it is given from God. **walking —moving forward in the moment and experiencing joy in the ability to do so. **seeing—beholding the creation around us, including family, friends, and family in the Lord. **hearing—listening to the sounds of God’s nature, the voices of loved ones, the praises to God. His gifts to us, just in the creation of our own being, are beyond what we can comprehend. 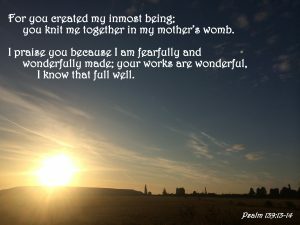 Even when impairments occur within our mortal forms, there is so much wonder in how we have been “knit together” by God that we should still be in awe. We can–and must–daily appreciate, in wonder and gratitude, our created existence in all its complexity and simplicity from our Father, our God, our Creator.